#1. One issue that many struggle with is the lack of visibility, which is made worse by a lack of rearview mirror. Some motorhomes do have rearview mirrors. But, this mirror is only helpful for looking back into the rear of your vehicle. Having properly adjusted side mirrors is the best way to combat this issue. Also, when backing up it’s wise to stop and check your surroundings multiple times. If the lack of a rearview mirror would dissuade you from driving an RV, look into a travel trailer that has rearview cameras instead. #2. Another main concern for travel trailer driving is turning, which requires additional space. With a vehicle as big as an RV you’ll need ample room for turning. This means that driving on cramped roads is a bad idea for several reasons. Firstly, you could risk not fitting in your lane or hitting cars parked on the roadside. Secondly, turning an RV requires swinging out before making the turn. Otherwise you could end up hitting the curb or on the sidewalk. #3. Finally, staying within lanes on the highway is trouble area for motorhome and travel trailer drivers. The highway offers much more space than side streets and city roads but it still presents some risks. Rather than looking to your sides to see if you’re within your lane, look further ahead. By focusing in front of you, about 4-5 car lengths ahead, you will start to fall between the lines. 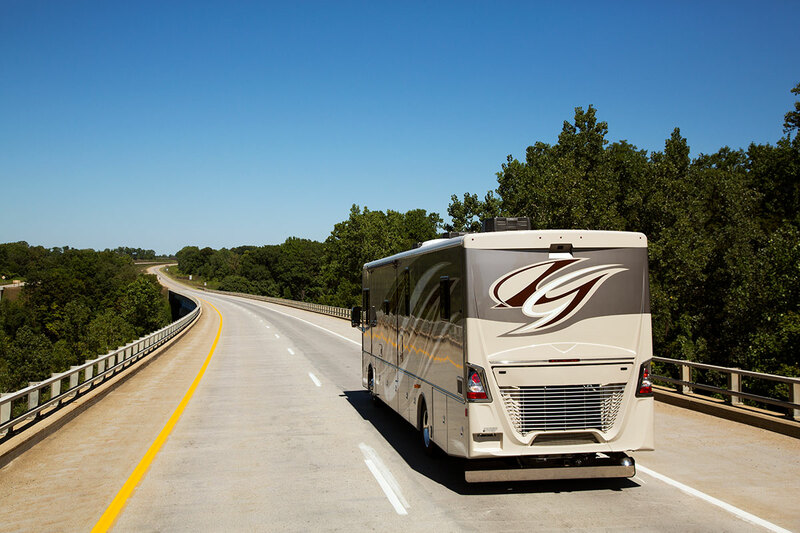 Once you’re accustomed to the size of your RV, driving within your lane on the highway will be natural. While everyone learns differently, no one should take their RV on a long distance trip before they are experienced in driving. To gain this experience, practice backing up, turning, and parallel parking in empty parking lots and on large, unpopulated roads. With patience and experience, you’ll learn to confidently tow a travel trailer for your next trip. Learn more about the cost benefit of RV vacations in comparison to traditional vacations.